This rare tiny tombstone is only 10-1/2" tall. The cabinet has been beautifully refinished, but retains the original grille cloth and knobs. It is a product of Pierce Aird Inc. of New York City. 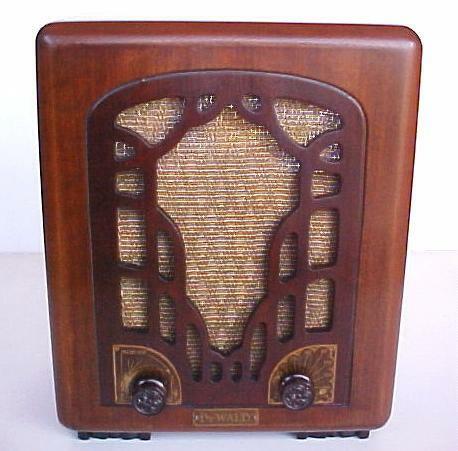 From its intricate grille to the decorative feet this radio is sure to please. This is the only example I have seen so I can assure you it is difficult to find. The chassis has been restored and when tested played well. It is extremely clean and ready to enjoy.